Also doing an entry on the Stone Roses in my journal. Just my favourite song. Perfect in every way that it's possible to be perfect. Just saw the documentary 'Looking for Sugar Man' too. Definitely worth your while! Only song I've heard from her new album but I like it. Techno sleaze hits the spot right now. "You can be anything you want except a cop cause a cop is whack though"
Sad times in memory of Ray Manzarek. 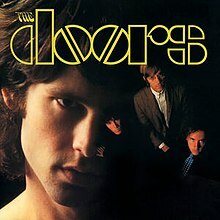 It's a Doors night.